This self-contained tube sealing device is ideal for laboratory, production line, research and development use and more. This digital tube sealer is economical, safe to operate and easy to use and could also be used to seal small bags and pouches for small production runs in addition to tubes. 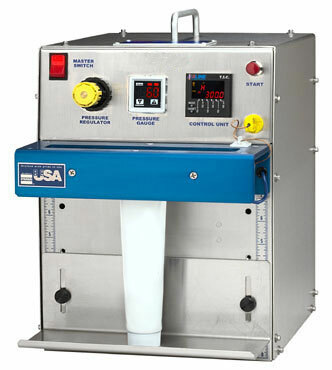 This tube sealer can be used on all polyethylene, glaminate or laminate tubes. A wide variety of additional options are also available below, including a 220V upgrade, dual element and digital water chiller.